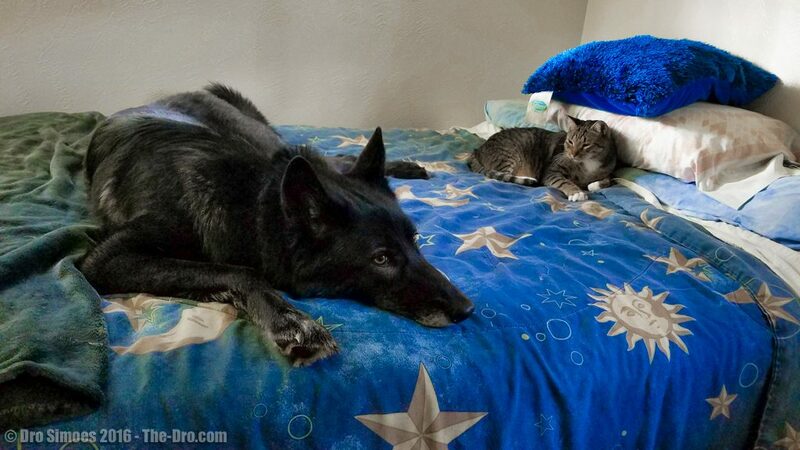 Luna the Wolfdog never really hangs out with Riddick the cat since she’s always picking on him. This was definitely a rare treat! They have been getting along much better lately.